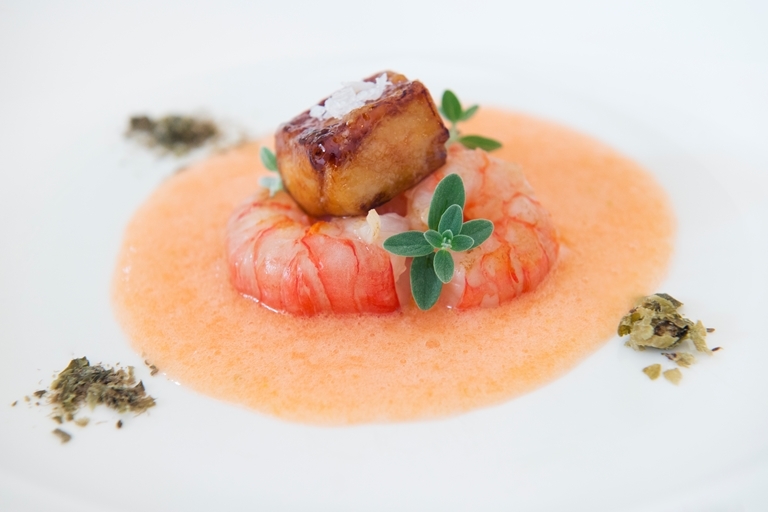 This starter from Andrea Sarri pairs the light, sweet flesh of prawns with the richness of foie gras. The melon gazpacho lifts the dish and provides a lovely element of refreshment. With over thirteen varieties of fish on his menu on any given day, Andrea Sarri has made a name for himself as one of northern Italy’s most accomplished seafood chefs.